There’s no shame in crawling when one can’t walk. They laugh at you when your going but when you came back with a load they’re a shamed. To commit harakiri with a pestle. Fallen blossoms do not return to branches; a broken mirror does not again reflect. You will find enough of brushna in every wood to burn it. Truth may be blamed but never shamed. 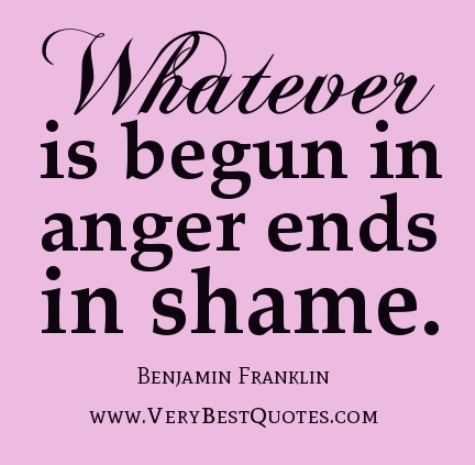 But sometimes shame is a more powerful engine than rage. Like rage, it burns hot; and like rage it tends to consume its own furnace. Sometimes shame is a more powerful engine than rage. Don’t be ashamed to say what your are not ashamed to think.